Dental cleanings are vital in keeping your mouth healthy. There are countless amounts of research showing how a diseased mouth can lead to or contribute to major health problems (stroke, diabetes, vascular disease). It is critical to have your teeth and gum tissue in optimal dental health. Bacteria in the mouth causes a sticky film of plaque to develop on the teeth. The bacteria release wastes (the bacteria go poop) and release toxins that cause gingivitis. Symptoms of gingivitis include red, swollen gums tissue that bleeds easily. Left untreated, gingivitis will progress to periodontal disease. 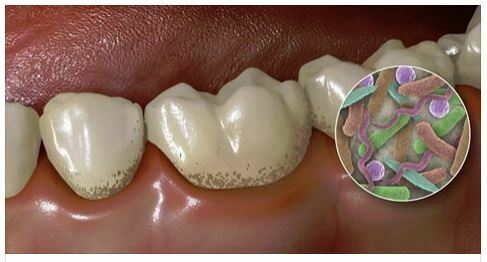 This devastating disease causes loss of bone, gum tissue and massive bacterial infections. Teeth are lost when the support tissue is lost. Good oral hygiene is the best protection against gum disease. Dr. Nugent recommends to brush your teeth three times, floss, use a quality mouth rinse and utilize an electric toothbrush. Regular dental check-ups and early dental problem detection will help avoid permanent tooth damage. 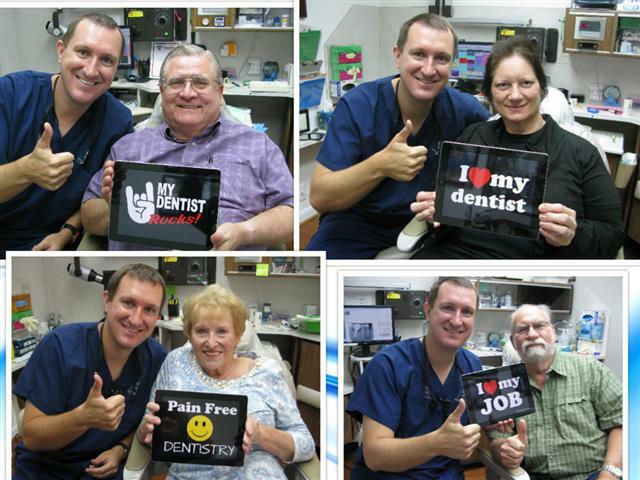 Dr. Nugent and his wonderful hygienists evaluate patients for gingivitis and gum disease at each dental visit. In normal healthy gum tissue the distance between the tooth and the bottom of the gum tissue pocket is 3 millimeters of less. 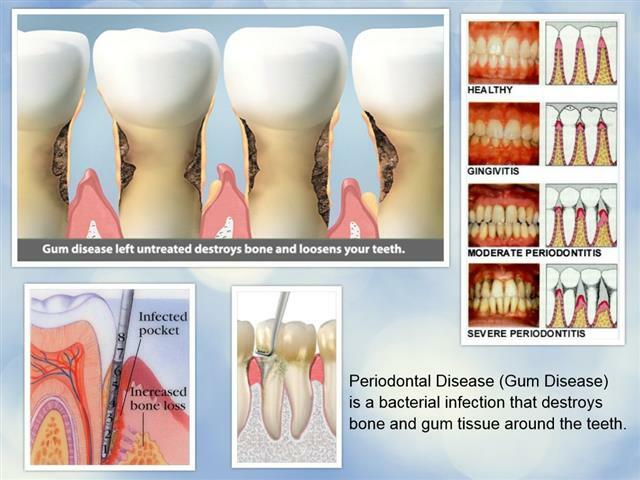 When gum disease is present the toxins from bacteria destroy the gum tissue and the tissue pulls away from the tooth. This creates a larger pocket that will hold more bacteria and a vicious positive feedback loop is created. More bacteria cause larger pockets and larger pockets allow more bacteria into the gum tissue. Dr. Nugent recommends you have dental cleanings at the minimum of every 6 months. If you have red, tender, swollen gum tissue that bleeds easily then you are encouraged to call Dr. Nugent’s Pasadena Dental Office. Losing your smile is a terrible experience. Dr. Nugent what is Periodontal Disease? “Periodontal” means “around the tooth”. Periodontal Disease (gum disease / periodontal infection) is a continual bacterial infection located in the gums and bone around the teeth. The bacterial infection leads to inflammation around the gums. When left untreated, periodontal disease can destroy the bone around your teeth. When the bony foundation is lost the result is tooth loss. Around 75% of all adult tooth loss is due to periodontal disease. Furthermore, periodontal disease has been linked to serious medical conditions: heart disease, stroke, alzheimers, stroke and pre-term baby deliveries. The mouth is connected to the rest of the body so preventing constant infections is vital. Some factors that can contribute to Periodontal Disease include: Poor oral hygiene, smoking, dental plaque, stress, genetic predisposition, age, diet, systemic illness, and poor occlusion. Unfortunately, periodontal disease does not hurt until it reaches an advanced state. However, there are symptoms that can indicate the presence of bacterial infection. If you notice any of these symptoms then please call our Pasadena Dental Office so that Dr. Nugent can evaluate your for periodontal disease. To treat periodontal disease, scaling and root planing is performed.